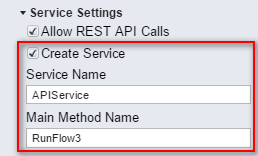 There are two ways that flow can be executed from an external application: (1) via call to a generated service (specific to this flow), or (2) via call to a generic Flow Execution Service. 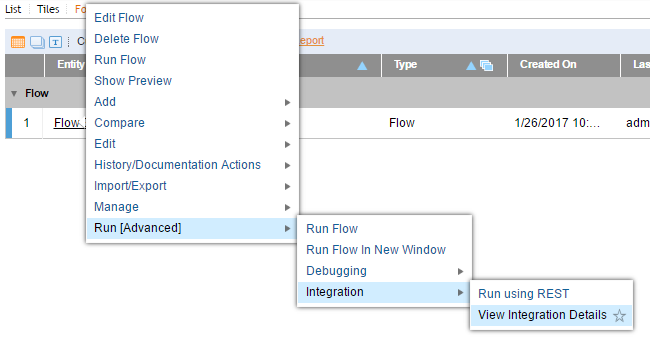 Get the URL to call for this newly generated service by clicking Actions>Run [Advanced]> Integration > View Integration Details	. Nest, choose WCF	for display settings, then select the Show Service API	button. In the document that opens, look for the How to call via WCF	section to find the service URL. Use this URL to add a Service Reference in your calling application. 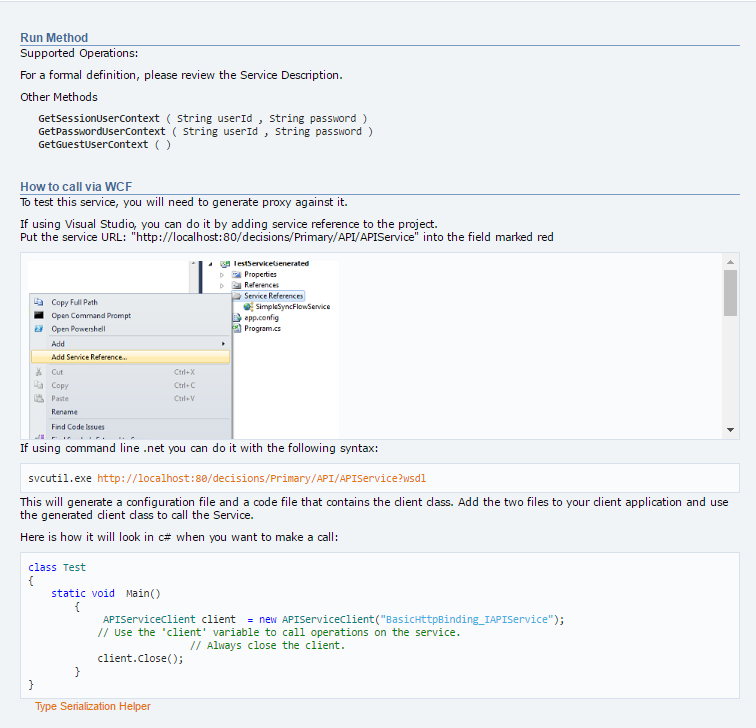 You can now run your code which will call your flow via WCF service.